Interspond is a Trial Management Organization (TMO) founded in 2003. 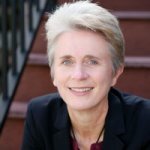 The founder of Interspond, Kathy S. Cox, started one of the first TMOs in the industry in 1996. The business model from that early TMO was used to create Interspond. As a TMO we seek to identify study opportunities for the sites with which we work. We then work to get sites selected for participation in clinical trials and facilitate the study start-up process for those selected sites. We work with sites across the United States that are multi-therapeutic in nature. Recently, Interspond signed an agreement to provide exclusive business development services to a network of neurology/rheumatology/dermatology/ophthalmology sites. As a result, Interspond now has a hybrid model working with sites on an exclusive and non-exclusive (affiliated) basis. Interspond provides exceptional value to Sponsors and CROs by quickly identifying qualified clinical research sites for participation in phase 2 through 4 clinical research studies. We then work closely with the Sponsor or CRO in executing a Confidentiality Disclosure Agreement (CDA), facilitating the completion and submission of the Feasibility Questionnaire (FQ), assisting in the scheduling of a Pre-Study Site Visit (PSSV), overseeing the completion and submission of the regulatory documents, and negotiating the contract and budget. We are ultimately responsible for paying the site’s the agreed upon budget, processing invoices, and reconciling study payments. Kathy received her Bachelor of Science in Education from UW-Whitewater in 1984 and a Master’s Degree in Exercise Physiology from UW-La Crosse in 1989. It was there, while writing her thesis, that Kathy developed her passion for research. Kathy started in the clinical research industry in 1989 working as a coordinator at the VA Hospital in Madison, WI. From there she moved to the University of Wisconsin Hospital and Clinics working as a research coordinator on NIH funded asthma research studies. Kathy saw an opportunity to provide centralized business development activities for clinical research sites and was off and running having established one of the industry’s first Trial Management Organizations (TMO) in 1996. She continues to work that business model today and enjoys the reputation of being a trusted, connected, leader. Kathy has two children who are both graduates of the University of Wisconsin. She enjoys spending time with family, traveling, speaking at conferences, fishing and officiating high school basketball games. Peg graduated from the University of Wisconsin-Stevens Point in 1986 with a Bachelor of Science Degree in Communications and a minor in Business Administration. 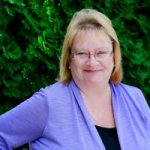 Peg brings 23 years of sales and marketing experience with her to Interspond. She began her career at Interspond in 2009 and since then has been involved with many facets of the business, from business development to Site Liaison, to her role now as Senior Director of Operations. Peg has a plethora of work experience in business development, personal relationship building, and project management that she brings to the Interspond team. Peg is the mother of a lovely teenage daughter, and twin boys who are in elementary school, and a 3-year-old Golden Doodle named Roxy. In her free time, she enjoys spending time with her children, extended family and friends. She likes to cook, travel and spend time outdoors, especially fishing. Beth Biedenbender is the oldest daughter from a family of three girls. She graduated from Waukesha North High School in 1979. She then attended UW-Waukesha from 1979 – 1981. In 1978 Beth started working at Waukesha State Bank. She worked there for 15 years, starting as a teller, then working her way up to Assistant Deposit Services Manager and Proof Manager. From 1993 to 1995 she stayed home to take care of her two children. In 1996, Beth started working part time with a Trial Management Organization. That position developed into a full time position and she worked there until 2004. In 2005 she purchased a company that did business development for clinical research sites, which she ran until 2007. 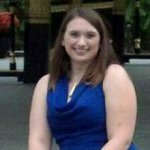 In 2008 Beth joined the Interspond team as an Associate Project Manager. She worked her way up to Project Manager, and, now, is currently the Director of Finance. In her free time, Beth enjoys bowling, fishing and going up north to their cabin with her husband of 30 years and two dogs. She appreciates the opportunity in this industry to be able to work remotely from their 40-acre homestead in central Wisconsin. 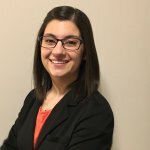 Ashley Biedenbender graduated from the University of Wisconsin-Stevens Point in December of 2011 with a Bachelor of Science Degree in Psychology. Ashley has held management positions in multiple types of customer service industries. She has previously work for Interspond as an Administrative Assistant from 2012-2013. She took a break from administrative work to work at a state run mental health institute for 5 years. She rejoined the Interspond team in April of 2019 as a part of our finance team. Ashley has a keen attention to detail, is very organized, and with her experience in customer service and background in psychology she has a person-centered way of communicating. In her spare time she enjoys bowling in leagues and state/national tournaments, playing softball, fishing, baking, hunting, and crocheting. 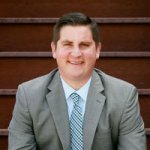 Greg Singletary is a business development professional with (10) years of experience with Fortune 500 companies as well as local brands. He has a broad background in business development, marketing, outside sales, advertising and inside sales. Greg graduated from UW-Milwaukee with a B.S. in Communications. He began working with Apexx Group right out of college as an inside sales account executive. From there he spent three years working for a local Radio station group where he was in sales and event production. He came to Interspond in 2015 and has enjoyed every minute of it. He’s looking forward to building many more relationships with clients wanting to discuss clinical trials or the sites which we represent. Greg has two young children , enjoys seeing live music as often as possible and also following the local Wisconsin sports teams. Go Bucky, Go Pack! When not seeking live entertainment, Greg loves to spend time with his family and go on walks with his pup Milee. Sara received her undergraduate Bachelor of Arts degree in 1996 with a double major in psychology and human services and a minor in business management from Dakota Wesleyan University and a Master of Science degree in Community Counseling from Minnesota State University, Mankato, in 1998. Sara studied and worked in the mental health field specializing in working with groups. She then transitioned into manufacturing where she worked for 10 years as a Production Manager. Sara was able to apply her expertise in group development and systems theory and applied this knowledge to achieve more efficient team functioning. Her style of management engendered empowerment , celebrated diversity and contributed to cultural change within the work force environment. Sara joined the Interspond team as a Project Associate in April 2018 and has since transitioned into her new role as a Business Development Associate in November 2018. 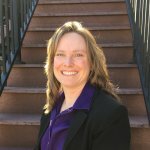 She brings a unique blending of personal characteristics and professional experience to Interspond. Sara, along with her wife Julie and daughter Ellie also own and operate a horse boarding facility, Breakaway Stables, LLC. In her spare time she enjoys horse riding, hiking, camping and being outdoors. Purple being her favorite color, she can’t resist cheering for the MN Vikings. Colin obtained his Bachelor of Arts in Economics from the University of Wisconsin in 2014. 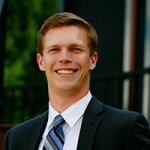 He joined the Interspond team right out of college in June, 2014 as a Project Associate. As a millennial, Colin brings extensive technological knowledge to Interspond which we appreciate and rely on. After 4 years Colin has become a leader for our project team, thus in July 2018 Colin was promoted to Project Manager. Colin has worked to build solid relationships with both sites and sponsors/CROs, and it shows in his work and his leadership role. His knowledge of Interspond’s processes and systems has been invaluable.While Colin is a Minnesota Vikings fan, he is still a big asset to the Interspond team. In his free time, his interests include playing Ultimate Frisbee for a semi-pro team, the Madison Radicals, watching and playing basketball, and golfing. Rob started at Interspond in March of 2017 as a Project Associate. Rob has experience in media sales and marketing, and he has worked for large and small companies alike. Rob has impeccable attention to detail. He is thorough and methodical in his processes. Rob is an integral part of our Project Team. Rob is a people-focused person and has built his career around helping others. Rob enjoys spending time with his wife, hiking, and going to restaurants in his free time. A graduate of the University of Minnesota – Twin Cities, Rob originally hails from the Madison area. Brent started his career with Interspond in February 2015. 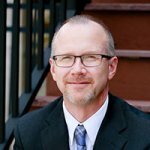 Brent brings almost 30 years of professional experience from a very diverse group of businesses, which includes financial services, advertising sales, marketing and printing. Brent holds a Bachelor of Business Administration Degree in Marketing from the University of Wisconsin-Whitewater and an Associates of Applied Science Degree from Madison College. 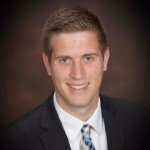 Craig graduated from the University of Wisconsin in 2016 with a Bachelor of Business Administration in Finance and Entrepreneurship. He joins Interspond as a Contract Specialist dealing in contract/budget negotiations. Before joining Interspond, Craig worked in corporate finance at NYU Langone Health as a Revenue Cycle Analyst. There, he acquired an advanced understanding of data analytics and reporting methods, which he will bring over to Interspond to enhance metric evaluations. He currently lives in New York City with his girlfriend while she seeks to become a Doctor of Optometry at SUNY College of Optometry. 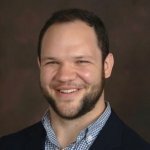 Jason hails from North Carolina and started with Interspond in December of 2018 as Director of Strategic Site Relations. He attained his Bachelor of Arts in Psychology from the University of North Carolina Charlotte in 2014. His experience comes from a background of client care and attention to detail. Jason has spent time in multiple industries from sales, project management in construction, and financial planning with large banking institutions. His versatile background has led him to gather experience in complex problem solving and critical thinking situations, which provide him the ability to assist others in a multitude of ways. Jason is someone you can always reach out to within the Interspond team, making it his number one priority to help enhance the lives of others. In Jason’s free time, he enjoys spending time with his wife, Dana, and his two Labradors Oakley and Chesley. Jason has lived in Madison since March of 2018, and enjoys attending sporting events since Dana’s family converted him to a Badger/Packer/Brewer fan like a true Wisconsinite. He is always staying active with sports of his own, playing basketball and men’s Home Talent Baseball in the summer. Elizabeth started at Interspond in February 2018 as a Project Assistant. Elizabeth has extensive customer service experience which has allowed her to hone her communication skills and ability to work with a diverse customer base. Additionally, her positivity and enthusiasm has been a valuable addition to the company. Elizabeth was promoted to Office Manager in January 2019 and continues to be an integral part of Interspond. She is a graduate from the University of Wisconsin-Madison but is originally from Southern California. Living in Wisconsin for the past 9 years has transformed her into a true Cheesehead. In her spare time, Elizabeth loves traveling, reading and collecting rocks.